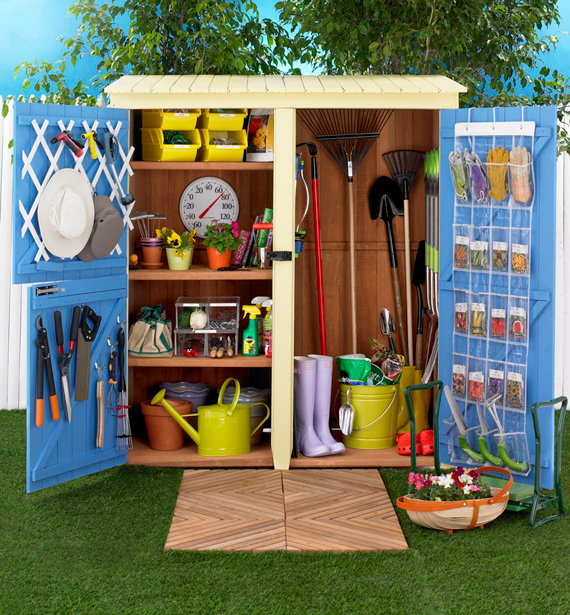 Before you head out to your hardware store to buy or build a shed, consider what you want to put in it. 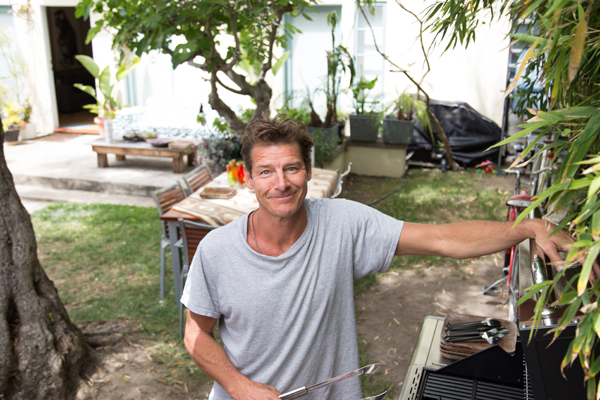 You might even have to check with your local zoning department before building or installing. Make a loose pile of all the tools and equipment you’re going to store and measure its overall length and width. If you want to store bigger power tools, keep in mind that you’ll need more space. 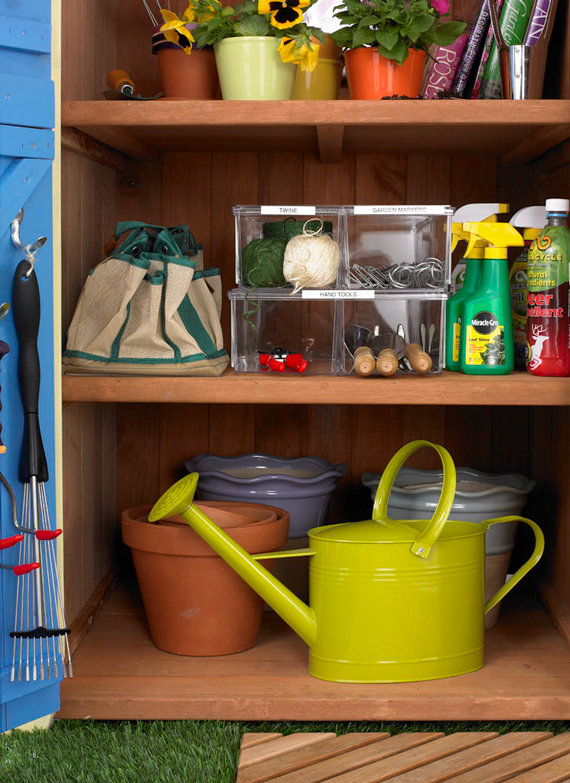 And don’t forget to pick up smaller storage containers and hooks for hanging tools. Once you have your shed in place, it’s time to fill it up! Prioritize your gear and keep the items that you use often front and center. For example, things like trowels and gloves should be readily available for easy access. Other seasonal items, like seeds and bulbs, can stay on a higher shelves since you won’t be needing them as often. You can store lily, turnip and canna bulbs in the same type of bins used to store their kitchen cousins – onions, potatoes, and garlic. Be sure to label the front so you’ll know what’s what when it’s time to plant. I dig how these bins stack, yet provide easy access even on higher shelves. Hand tools, twine and plant markers fit perfectly in clear plastic shoe boxes. You’ll want to store these at eye-level or below so you can instantly see what’s inside. And I always like to label or mark the boxes for simple clean up. 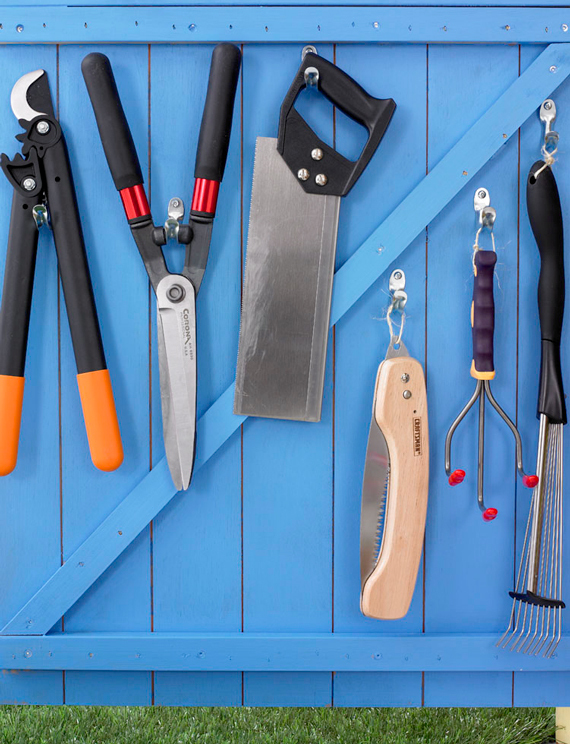 Hang frequently used tools, like hand rakes, hedge sears, small saws for cutting thick branches and cultivators on the inside of your shed doors. This not only protects the blades from damaging other tools, but they will work better and last longer, too! Just be sure to hang them on them on the lower part of the door to avoid injuring yourself on the blades or prongs. 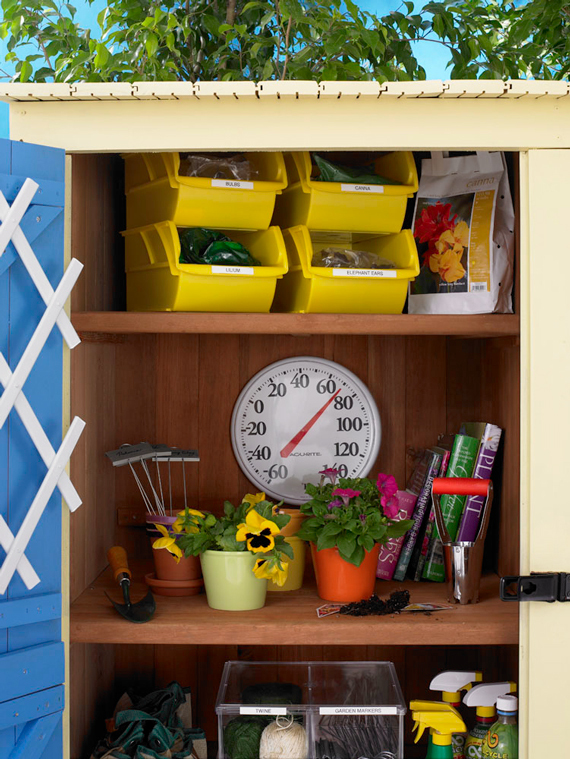 Now on the inside of the other door… attach an expandable plastic trellis to the inside with screws and use “S” hooks to hold spray nozzles (you know you have more than one), gardening gear and other small tools. 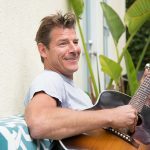 Play around with position to accommodate your needs. 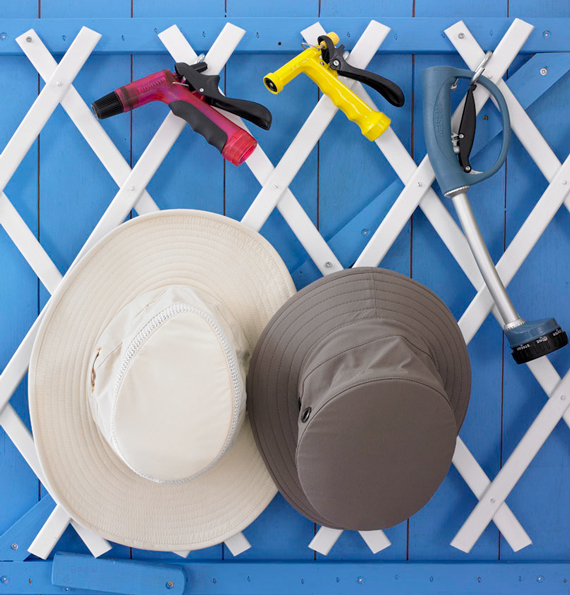 For long-handled tools, like rakes and shovels, make some room against the back wall of your shed. If you have the space, hang medium-length tools on hooks screwed into the wall. 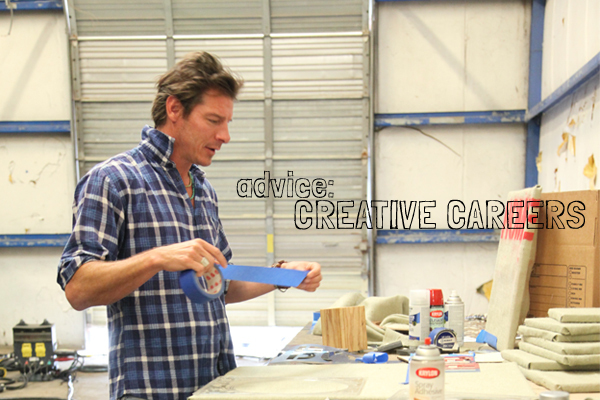 Quick tip: a tall pair of rubber boots can hold lightweight tools, so try to repurpose where you can. 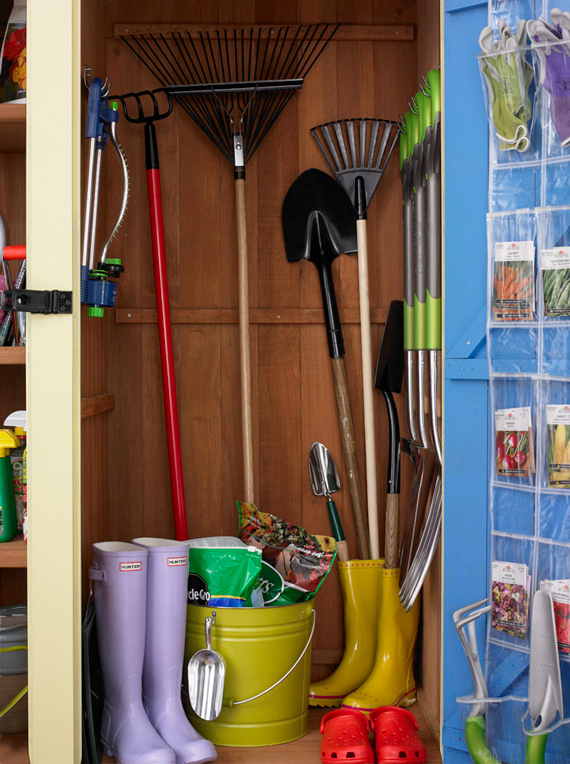 Speaking of repurposing, grab a clear plastic shoe bag and use it to store seed packets, gloves and miscellaneous hand tools. 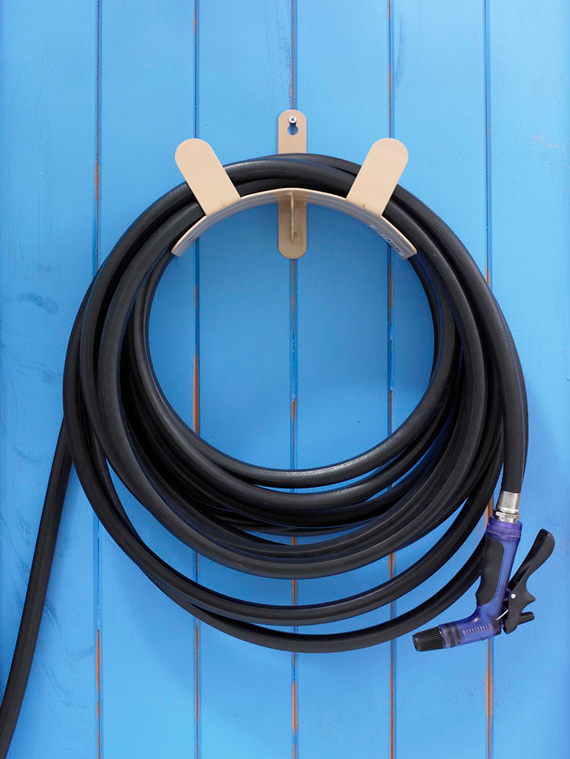 Last but not least, keep your hose off the ground and tangle-free by attaching a sturdy holder to the outside of your shed. If you can find a spot near the tap, that’s even better. Especially when you need to rinse muddy soil from your boots before storing them in your newly organized shed! 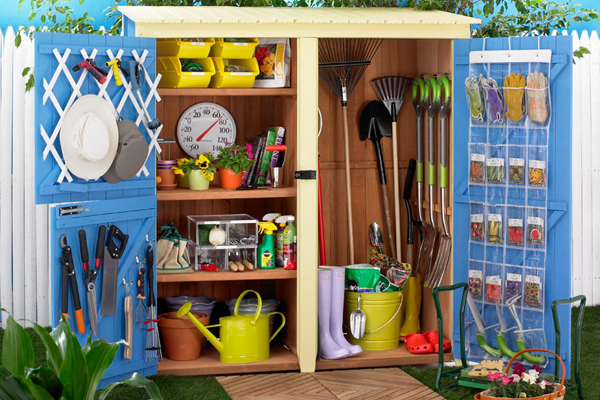 Have any tips to organize your garden shed? Leave them in the comments below.